Boating Industry magazine announced its 11th annual list of Top 100 dealers at a black tie gala last week in Orlando. Earning Dealer of the Year honors for the second year in a row was Gordy’s Lakefront Marine of Fontana, Wis.
With its second Dealer of the Year win, Gordy’s will next year enter the Top 100 Hall of Fame, joining previous inductees MarineMax, Galati Yacht Sales, Prince William Marine and Legendary Marine. Boating Industry also recognized eight other companies with special “Best in Class” awards, for companies that particularly excelled in one area of their business. Best Training & Benefits – Strong’s Marine, Mattituck, N.Y.
Best Marketing – Action Water Sports, Hudsonville, Mich. Most Innovative Dealer – Singleton Marine, Buford, Ga.
As in past years, the Top 20 members of the Top 100 were ranked, with the remaining 80 being recognized as Top 100 dealers. For complete coverage of the 2015 Top 100, be sure to check out the December issue of Boating Industry. 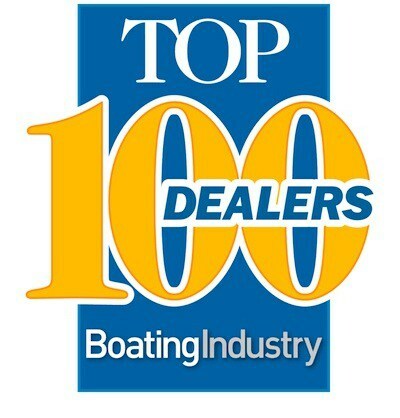 The Boating Industry Top 100 is sponsored by the Leadership Alliance: GE Capital Commercial Distribution Finance, Manheim Specialty Auctions, Volvo Penta, Brunswick Dealer Advantage, Sunbrella Marine and the Marine Retailers Association of the Americas. Gordy’s Lakefront Marine of Fontana, Wis.
Russell Marine LLC, Alexander City, Ala.
Quality Boats of Tampa Bay, Clearwater, Fla.
Action Water Sports, Hudsonville, Mich.
Marine Connection, West Palm Beach, Fla.
Angler’s Choice Marine, Martinsville, Va.
B & E Marine, Inc., Michigan City, Ind. Blue Springs Marine, Blue Springs, Mo. Breath’s Boats & Motors, Bay St. Louis, Miss. 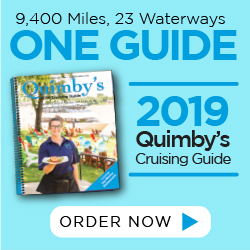 Buster’s Marine, Broad Channel, N.Y.
Candlewood East Marina, Brookfield, Conn.
Cannons Marina, Longboat Key, Fla.
Causeway Marine Sales, LLC, Manahawkin, N.J.
Charlotte Ski Boats, Mooresville, N.C.
Chessie Marine Sales, Inc., Elkton, Md. Cleveland Boat Center, Cleveland, Tenn. Colony Marine Sales and Service, St. Clair Shores, Mich.
Colorado Boat Center, Johnstown, Colo. Deep Creek Marina, McHenry, Md. Don’s Marine, LLC, Lodi, Wis.
Fogarty’s Lake Flower Marina, Saranac Lake, N.Y.
Gage Marine, Williams Bay, Wis.
Gone Fishin’ Marine, Inc., Dixon, Calif.
Hall Marine Group, Lake Wylie, S.C.
Hampton Watercraft and Marine, Hampton Bays, N.Y.
Lake Viking Marine, Gallatin, Mo. Laurel Marina Dealership, Inc., Bristol, Tenn.
Marine Specialties Boat Sales & Service, Sparks, Nev. Ocean Marine Group, Inc., Ocean Springs, Miss. Off Shore Marine, Inc., Branchville, N.J.
Omaha Marine Center, Omaha, Neb. Plantation Boat Mart, Tavernier, Fla.
Reed’s Marine, Inc., Delavan, Wis.
Regal & Nautique of Orlando, Orlando, Fla.
Shipyard Marine, Green Bay, Wis. Shorts Marine, Inc., Millsboro, Del. Silver Spray Sports, Inc., Fenton, Mich.
South Florida Mastercraft, Boynton Beach, Fla.
Spicer’s Boat City, Houghton Lake, Mich.
Spring Brook Marina, Inc., Seneca, Ill.
Starboard Marinas / The Harbor, Branson, Mo. Superior Boat Repair & Sales, Rancho Cordova, Calif. The Boat Shop, Tafton, Penn. The Great Outdoors Marine, Lavalette, W.V. Traverse Bay Marine, Traverse City, Mich.
Vallely Sport & Marine, Bismarck, N.D.
Wayzata Marine, Inc., Orono, Minn.